To receive a non-binding price offer for free, just call 020 3746 3201 or send an online request to our customer support department right away. Let us rejuvenate and sanitize your favourite upholstered furniture! We also offer car upholstery cleaning. Our upholstery cleaners always arrive at the time and date booked, and performs a detailed inspection of your furniture goal is to determine the exact material it is made of and the overall condition of the upholstery and thus the most suitable cleaning method and solution to be used. Our cleaning technician will also assess any stains and damage on your upholstery and will inform you which ones can be removed. The upholstery is hoovered with one of our professional vacuum cleaners, so that as much dust, hairs and other residue is removed from it. The removable stains are pre-treated with the most appropriate solutions. Then the cleaner proceeds to deep clean the upholstery by either using a dry cleaning solution or a steam cleaning, water extraction machine. With the years of experience in the field, our professional cleaners can safely and successfully deep clean just about any type of upholstery, curtains, draperies, blinds and mattresses. We have the appropriate machines, tools and detergents to steam or dry clean your sofas and upholstered furniture. Pre-treatment of removable stains is included in the price of this service. We can clean and rejuvenate your leather furniture, and can safely handle the cleaning of delicate upholstery, such as suede as well. All of our cleaning services are fully insured. Only solutions from the leader of the leather cleaning and finish producer Prochem are used. The sofa cleaner inspects the condition of the upholstery and picks the appropriate leather treatment solution for your case. The cleaner tests the chosen solution on a small hidden spot on the upholstery first. If everything is alright, the foam leather cleaner is applied meticulously on the entire upholstery and left to work for a few minutes. A brush and cotton cloth is used to wipe the cleaning solution. After the cleaning, the cleaning technician will apply a protective leather rejuvenator, to seal in the cleaned surface of your furniture. The rejuvenator should be left to completely dry off before you can sit on the furniture. It will take a couple of hours for it to dry. The cleaner is also equipped with professional leather crack fillers of various colours, so some small cracks and damage on your leather upholstery can be taken care of if we have a filler which matches the colour of your furniture. So, get your furniture all nice, clean and rejuvenated by booking our expert upholstery cleaning services now. Car leather upholstery cleaning is yet another of our specialities - get your vehicle's interior smooth and shiny now! Professional Upholstery Cleaners Just A Call Away! 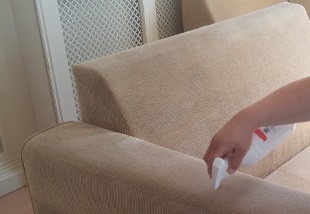 Booking Better Cleaning Services' professional upholstery cleaning in London is quite easy - just contact our operators at 020 3746 3201 or send an online request. You will receive written confirmation of your furniture cleaning booking within 2 hours of your request. We offer same day and emergency appointments. If you plan ahead, we will give you preferential prices for early booking. 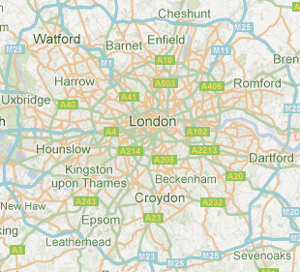 Regular customers, estate agencies and landlords also get preferential prices.